• PLOT SUMMARY: MURDER! MYSTERY! MARTIAL ARTS! 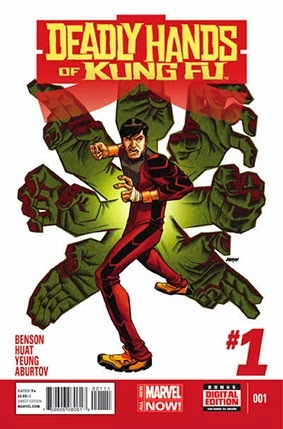 A former lover of Shang-Chi's is murdered in cold blood while working deep undercover for MI-6. When Shang-Chi travels to England to pay his respects he learns all is not as it seems, and if he's not careful he may be next to die! Old friends, new enemies, espionage and kung fu collide in this riveting story! (W) Mike Benson. (A) Tan Eng Huat. (CA) Dave Johnson.